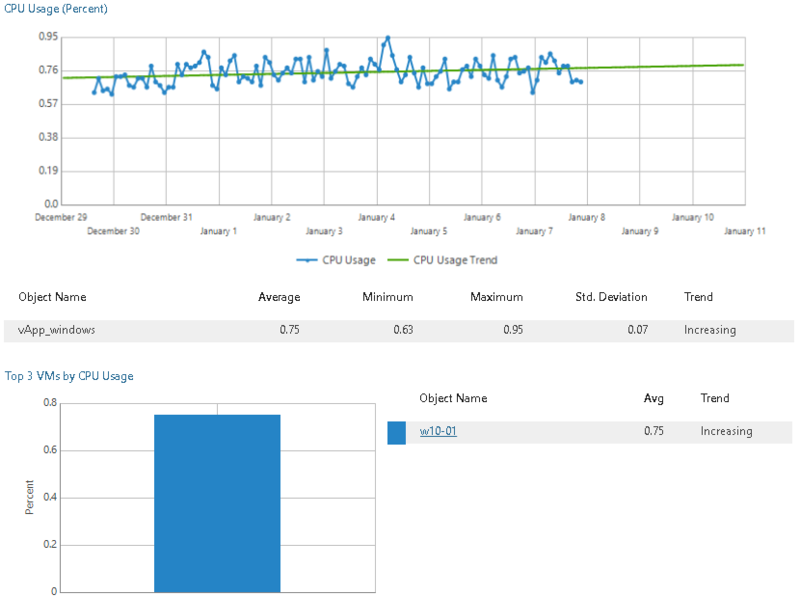 This report aggregates historical data and shows performance statistics for a selected vApp and resource pools across a time range. 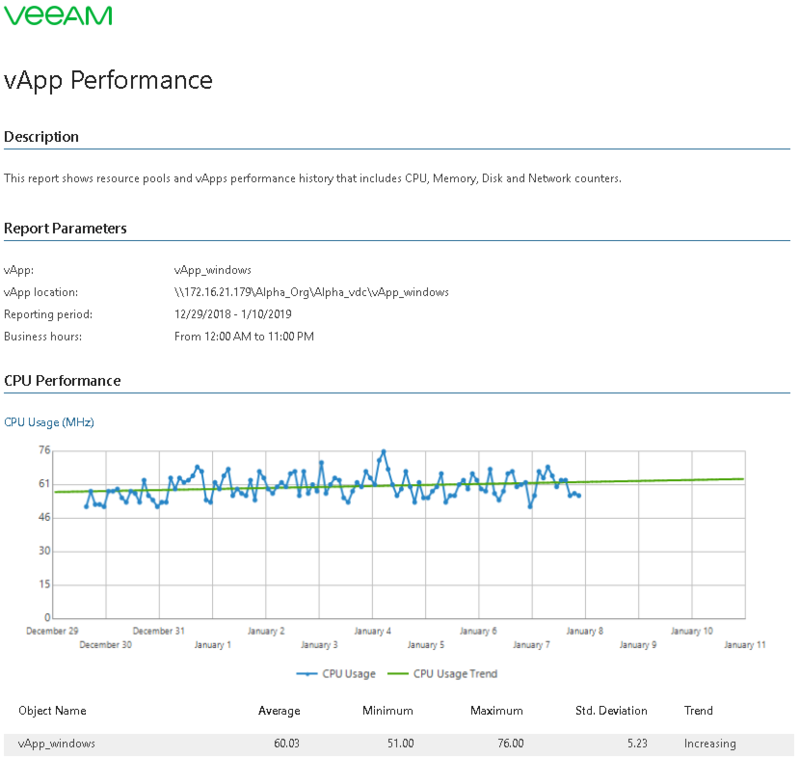 The report shows tables and performance charts with statistics on CPU, memory, disk and network usage for the vApp. The report also lists top resource consuming VMs and calculates resource usage trends for them. The report helps you identify vApps with performance issues and decide whether additional right-sizing or reconfiguration actions are necessary. Object: defines the vApp to analyze in the report.